Isn’t it just gorgeous. 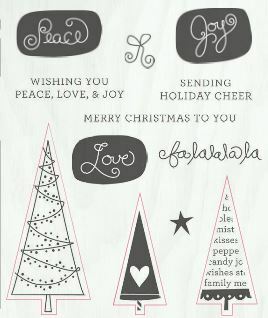 The beautiful accents on this page were created using a hostess only stamp set – Festive Trees B1493. It’s just so stinkin’ cute – we created a beautiful card in our card class with it last week too – it was an absolute favourite. So just how do YOU get your hands on this? Well – it’s really quite simple, and you have a couple of options. The most fun way, is to invite a couple of girlfriends round, and me (! ), and let’s create something together. When the group spend is over $250, you the host, get the rewards. And you can use a mere $10 of your host credit, to purchase this beautiful stamp set. Option 2 – if you’ve got a big wish list from the new idea books, and fancy marking some of those items off, simply spend $250 or more in one go, and you also get hostess rewards. Easy huh?!! 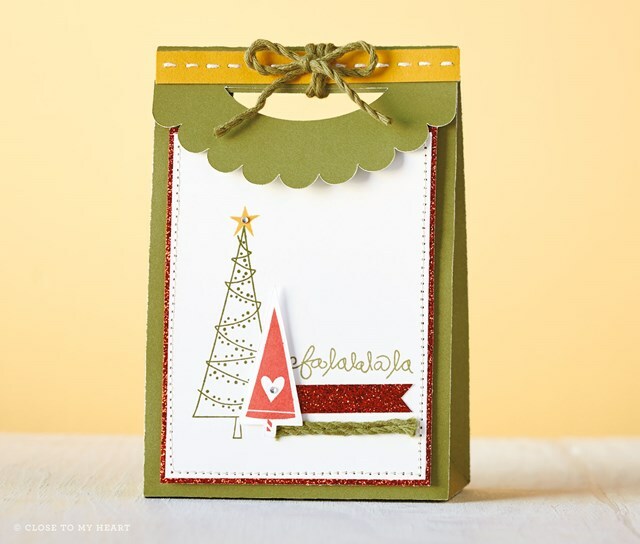 To continue to inspire you, here’s another stinkin’ cute project created with the stamp set – this one is a beautiful little gift bag. So, phone me to organise your gathering on 09 272 4535 or email me on cropcraftcreate@gmail.com I can’t wait to help you get more of that wish list into your hands.